When you select an e-Prescribing vendor you are looking for one that is reliable, state-of-the-art, and takes care of all of the upkeep for you. MDToolbox servers are high tech with the latest in hardware and software technologies. We make sure our prescribers can e-prescribe any time - day or night. Our systems are monitored 24/7. The servers are HIPAA compliant and secure: SAE-16 audited annually, and DEA 1311 audited bi-annually. We have redundancy and fail-over - Data is secure and available. 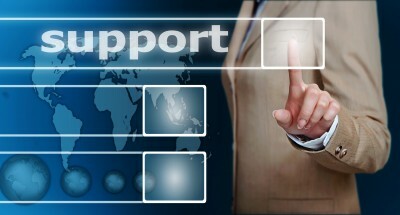 We provide excellent customer support. You will get to talk to staff based here in the U.S. that have knowledge of the product and healthcare tech, knowledge of computers and software and answers to what you need to know. We offer chat, e-mail and telephone support Monday thru Friday 8 am to 7 pm central time and on-call emergency support after hours. We also offer recorded, and personal training sessions. Contact us today to see how our products and services can help you get it done.